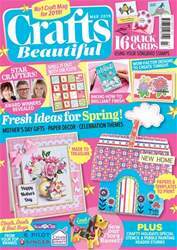 56 all-new papercraft designs; 25 exclusive cards; free quilling kit; designer tips and tricks; £2,000 worth of prizes up for grabs! 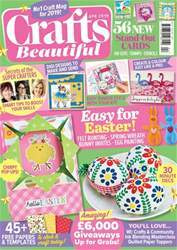 This issue is filled with all the crafty inspiration you need, such as stunning stitched goodies, card techniques and knitting to get you geared up for spring. 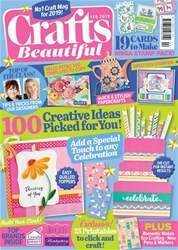 We have exclusive projects from our favourite designers for you to enjoy, from candle-making, lino cutting, crochet blanket, pop-up cards, sweet gonks, romantic jewellery and much more! 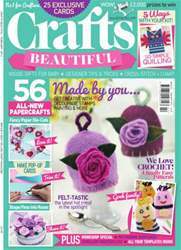 We look at how to advance your skills with workshops, embrace crafting in children’s rooms and catch up with Leonie Pujol on her makes and inspirations. On your marks, get set: get crafting!